Adopt SIEM as a service and focus your resources on monitoring threats and insider attacks. IBM QRadar on Cloud is a network security intelligence and analytics offering that can help you detect cybersecurity attacks and network breaches so that you can take action before any considerable damage is done or begin to immediately respond to any critical data losses. As a cloud-based service, you and your team will be focused on reviewing anomalous conditions and patching the most important asset vulnerabilities rather than acquiring and deploying technology components. 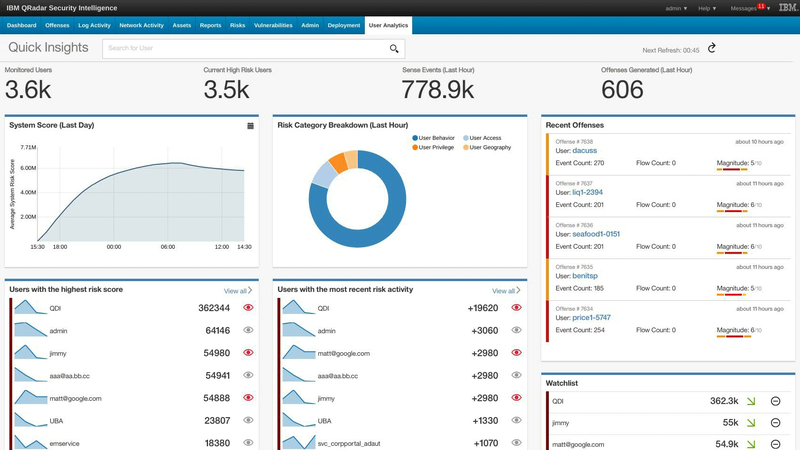 You can begin using IBM QRadar on Cloud by paying a monthly fee and rapidly scaling to meet your needs. Helps you move away from large capital expenditures to a model based on operating expenses. Delivers key IBM QRadar SIEM capabilities to help protect you from the latest security threats. Includes IBM services for flexible planning, acquisition, deployment and management. Try QRadar on Cloud free for 14 days and get started in just minutes.